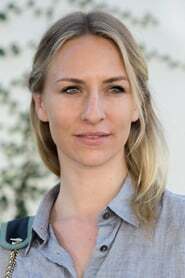 Mickey Sumner is a British actress. She is best known for her roles Sophie Levee in Frances Ha and Katia on the AMC Network series Low Winter Sun. Sumner’s other notable works include Half the Perfect World, The Mend and Anesthesia. Born Brigitte Michael Sumner on January 19, 1984 in London, United Kingdom, she is the oldest daughter of Sting and Trudie Styler. Her siblings are Jake Sumner, Eliot Sumner, Giacomo Sumner, Joseph Sumner and Fuschia Katherine “Kate” Sumner. Mickey began her acting career in 2006 appearing in a series of short films. In June 2016, Mickey became engaged to Chris Kantrowitz. They married in Tuscany in July 2017. *She was born on January 19, 1984 in London, United Kingdom. *She started her acting career in 2006.